A new report issued by an American Psychological Association (APA) task force suggests that playing violent video games may be linked to increased aggression. However, the task force is careful to note that this aggression was not criminally violent or delinquent—a conclusion that’s often mistakenly drawn by media and the general public. For the study, the task force reviewed four meta-analyses previously conducted by the APA Council of Representatives, which included 170 research articles. While the task force noted that there was no single risk factor that leads a person to act aggressively or violently as a result of playing violent video games, a general pattern did emerge, marking a relation between time spent playing violent video games and aggressive behavior and cognition. Additionally, the task force found a correlated decreased in prosocial behavior, empathy, and sensitivity to violence and aggression. According to the APA, more than 90% of children in the U.S. play video games; for children between the ages of 12 and 17, this number increases to 97%. However, the average age of a video gamer is 34 years. In 2010, the average time spent playing video games per gamer was eight hours a day and parents reported to always or sometimes monitor their child’s video game usage 97% of the time. The task force admits that their findings may not be as applicable to children, as very few of the studies reviewed included children or adolescents under the age of 16. “American Psychological Association Task Force on Violent Media: Technical Report on the Review of the Violent Video Game Literature,” American Psychological Association web site; http://www.apa.org/news/press/releases/2015/08/technical-violent-games.pdf, last accessed August 18, 2015. McIntosh, J. 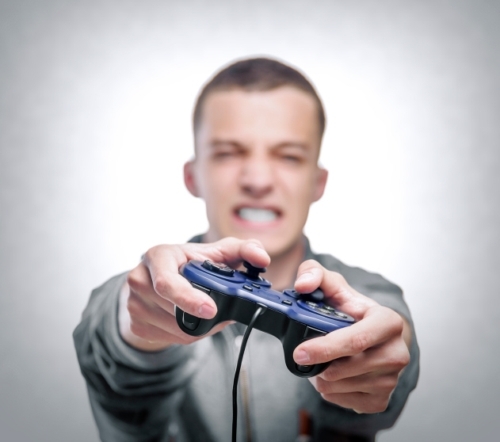 “Video games linked to aggressive behavior,” Medical News Today web site, August 18, 2015; http://www.medicalnewstoday.com/articles/298216.php.